If you’re tired of the usual art scene and larger museums like LACMA and the Getty, I highly recommend checking these magnificent towers. 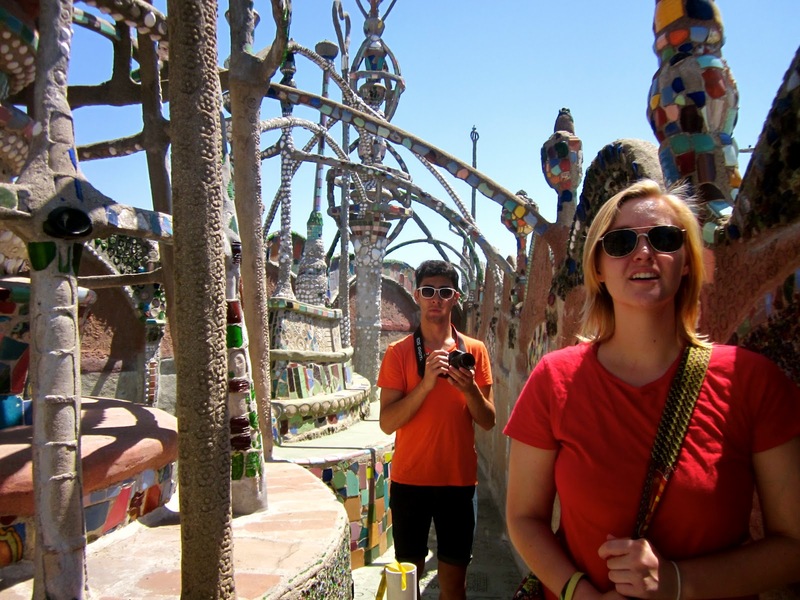 I would say that Watts Towers were probably the greatest backyard project of all time. 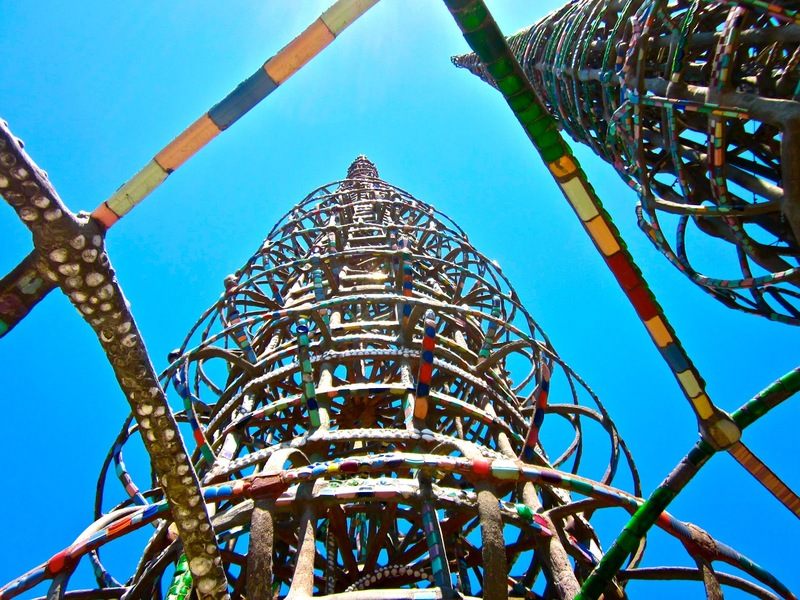 Simon Rodia, being only 4’11 ft. tall, managed to build several towers, the tallest being at 99 1/2 ft tall. He stopped at that height due to city limit otherwise I’m really curious to see how tall he would have built the towers. 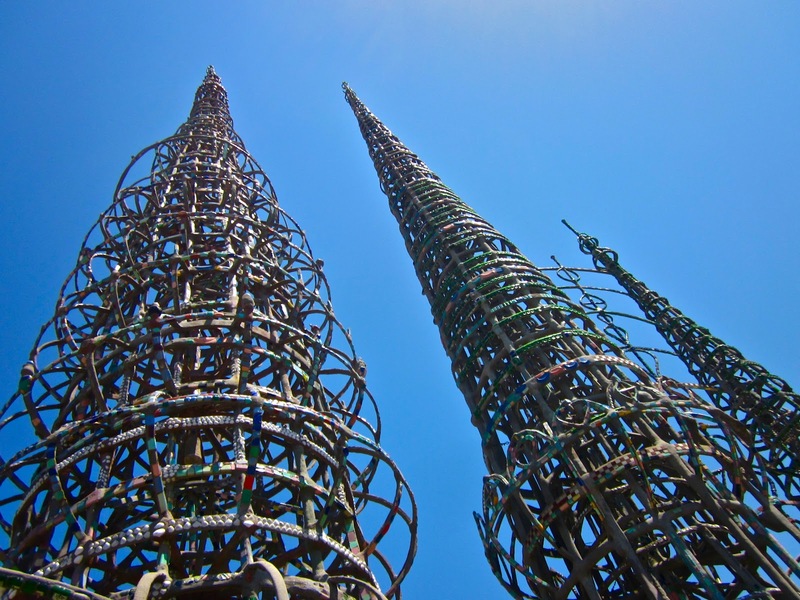 After collecting and purchasing broken glasses, plates, and 7 Up bottles from his neighborhood, he successfully finished this these towers in 30 years ALL BY HIMSELF without prior architecture knowledge. The towers were made of metal and decorated with whatever he was able to gather. 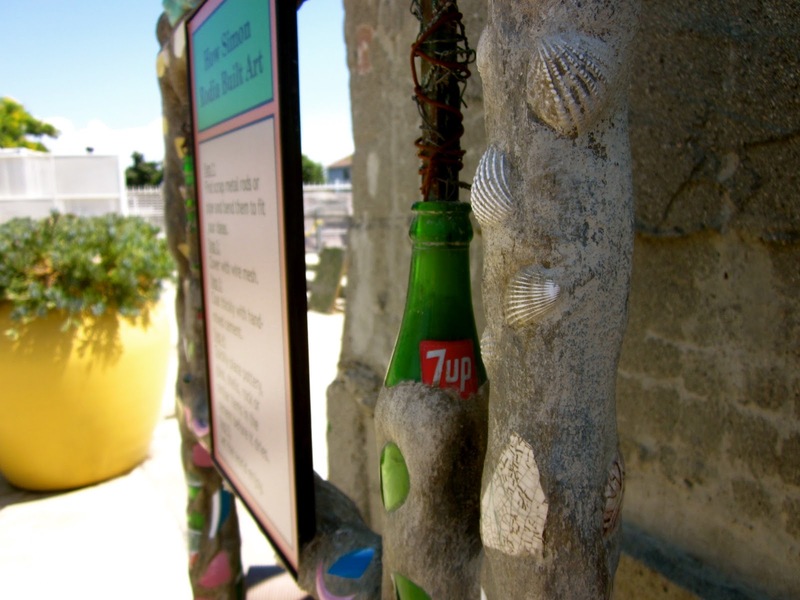 When he finished, people in his neighborhood were able to admire the towers and see their pieces of contribution. The ground was designed to resemble a shape of a ship that would one day take him home to Italy. 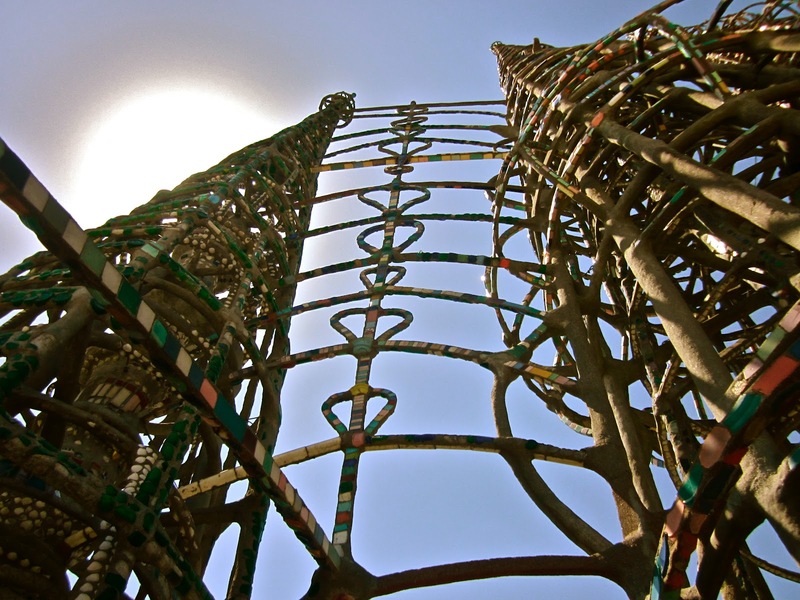 Simon Rodia’s Watts Towers truly redefine my definition of ambition. I really admired his dedication and passion into spending so much time in his life building these towers. It’s just fascinating to be standing in the ground and surrounded by beautifully crafted and designed art project unlike anything I’ve ever seen before. This place really blew my mind and my friends and I were having a hard time keeping our jaws off the ground. The height of these towers were impressive, but I was more amazed by the detail of the designs of these towers. I appreciate ancient drawings and interesting modern arts, but it is so rare to encounter something this unique and personal. We arrived at noon on a Saturday, and the we went in the art museum which was located in the same area as the towers to purchase a ticket. We waited for about five minutes before our guide came in and took us inside the ground. You’ll need to go on the tour to actually be close to the towers otherwise you can admire them from outside the fence. It’s really worth $7 , so don’t hesitate paying for it. Our guide was really energetic and enthusiastic about the subject, but he was going so fast I felt like I didn’t have enough time to appreciate the detail of the towers. I highly recommend everyone to try and visit this wonderful place at least once during your visit in Los Angeles. Being located near a metro station which makes it even easier to access. hey, first off, i love your blog. you’re an inspiration. keep it up! second, simon rodia was italian, not irish. Thanks John for the correction. I will make the changes!